Within communication theory, there are competing views as to if Email is a rich or a lean media. Email, according to traditional media richness theory, was believed to be a lean media because it is text-based, asynchronous in nature, and incapable of transmitting non-textual cues, such as facial expressions, body language, and tone. However, studies have challenged this notion under communication theory and have found support for Email as a rich communication media. The prevailing view within current communication theory is that Email has aspects of both a rich and a lean media, with some of the difference dependent upon the knowledge bases of the individuals, as well as the type of information being communicated and has been found to be capable of accommodating different types of structural and stylistic design elements and rhetorical factors. 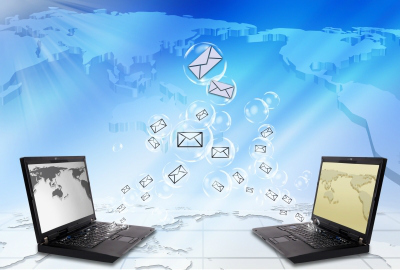 What is your experience with Email as a communication media? Do you find it "rich", "lean", or something "in-between" ? Carlson, J. R., & Zmud, R. W. (1999). Channel expansion theory and the experiential nature of media richness perceptions. Academy of Management Journal, 42(2), 153-170. Huang, A. H. (2002). E-mail communication and supervisor-subordinate exchange quality: An empirical study. Human Systems Management, 21(3), 193-204. Markus, M. (1994). Electronic mail as the medium of managerial choice. Organization Science, 5(4), 502-527. Lee, A. S. (1994). Electronic mail as a medium for rich communication: An empirical investigation using hermeneutic interpretation. MIS Quarterly, 18(2), 143-157. DeKay, S. H. (2010). Designing email messages for corporate readers: A case study of effective and ineffective rhetorical strategies at a fortune 100 company. Business Communication Quarterly, 73(1), 109-119.